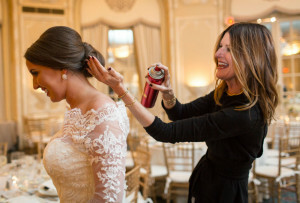 By Julie Suratt·	 1/10/2017, 6:06 a.m.
Katie O’Neal hates it when her husband, Vivek Reddy, makes work calls on their way to dinner. 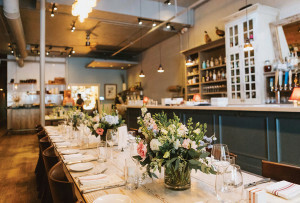 “I know it annoys her,” admits Vivek, a physician at Mount Sinai Hospital in New York—but in his opinion, a dinner date doesn’t start until they get to the restaurant. 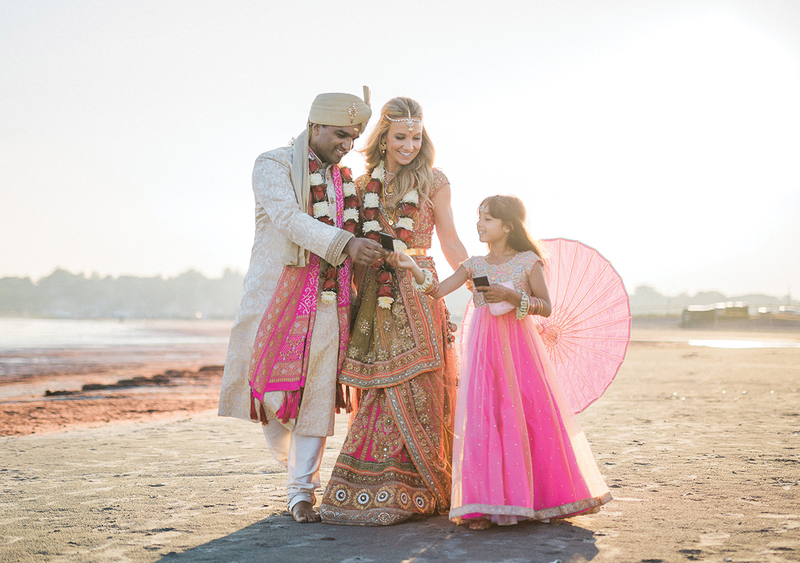 Katie’s self-described type-A personality, however, came in handy when she and Vivek had to plan not one but two weddings this past summer. 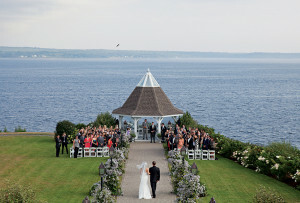 Once they’d decided on Newport, a town they’d always enjoyed visiting, the details fell into place. 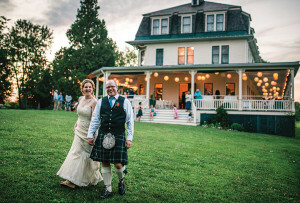 They’d host a Hindu ceremony on Friday with an Indian buffet and party, and then they’d do it all over again at a Christian ceremony the next day at the Castle Hill Inn. 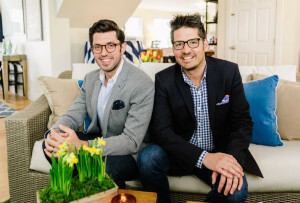 Guests were invited to stay the weekend—all but one, that is. 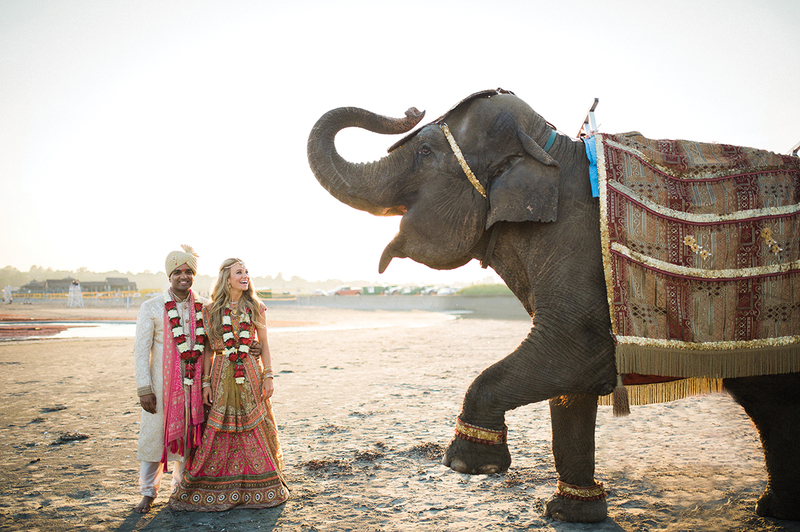 The 8,000-pound elephant that delivered Vivek and his eight-year-old daughter, Ella, to the Hindu ceremony went home at the end of the night. 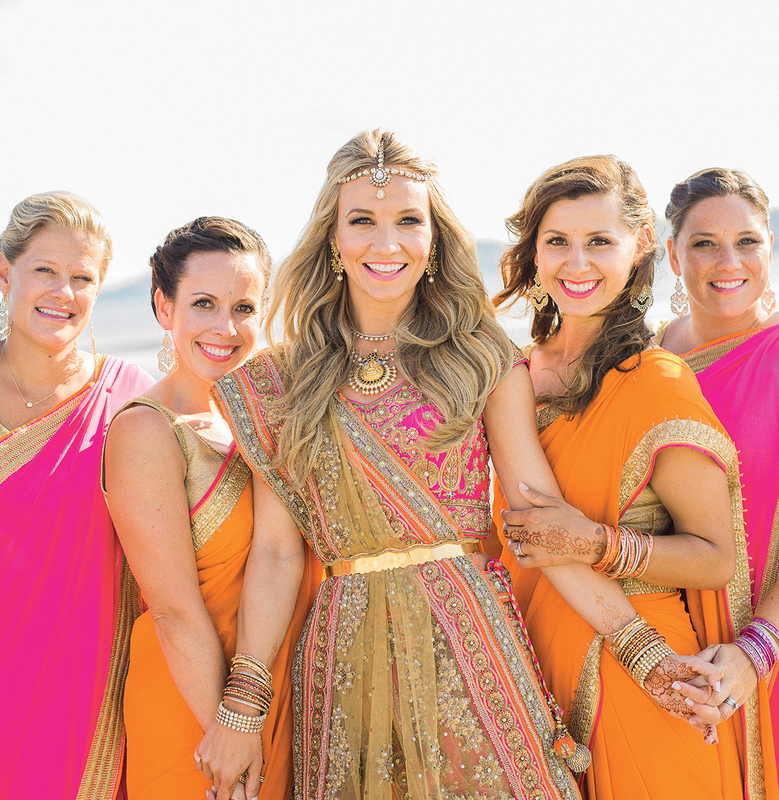 Katie, who had saris custom made for her sisters and best friends, gave them each elephant friendship bracelets to represent the memories they’ve shared together. 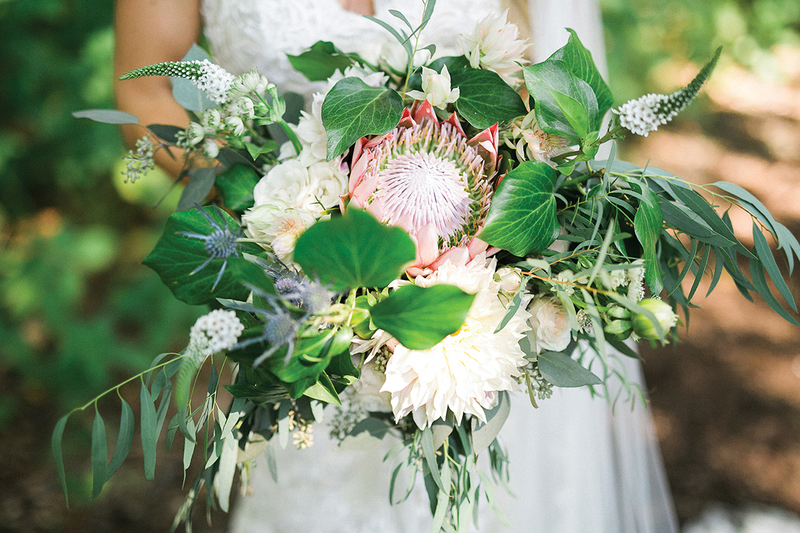 The bridal bouquet included protea, which Katie fell in love with during a trip to Cape Town, South Africa. 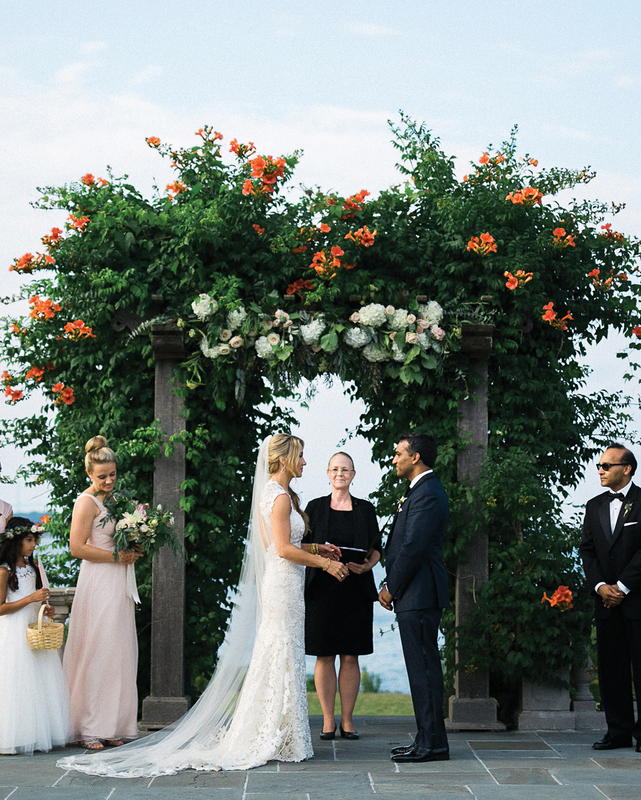 Katie and Vivek said their vows at the water’s edge in front of an arbor layered with hydrangea, roses, and textured eucalyptus. 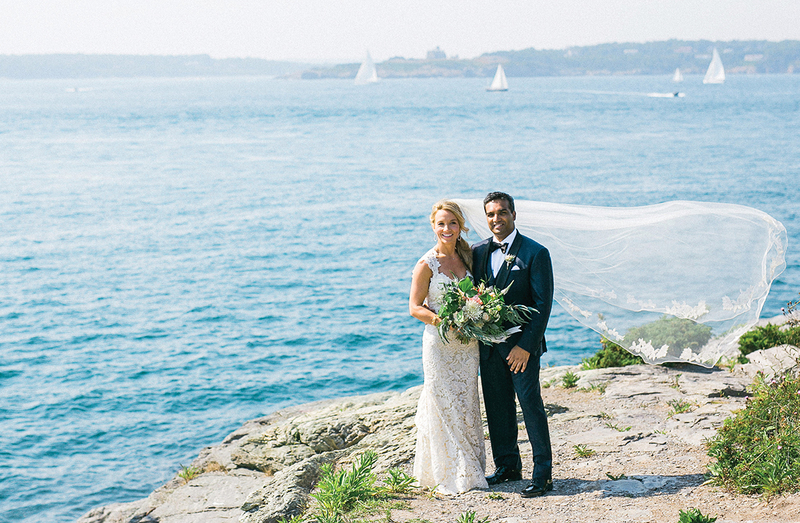 During the couple’s first look, at a remote lighthouse near Castle Hill, Vivek gave Katie a pair of Pagéo earrings. The couple’s traditional wedding outfits for the Hindu ceremony were designed by a family friend and made in Bangalore. Vivek’s mother gifted Katie a mangalsutra necklace (which identifies her as a married woman) and toe rings. 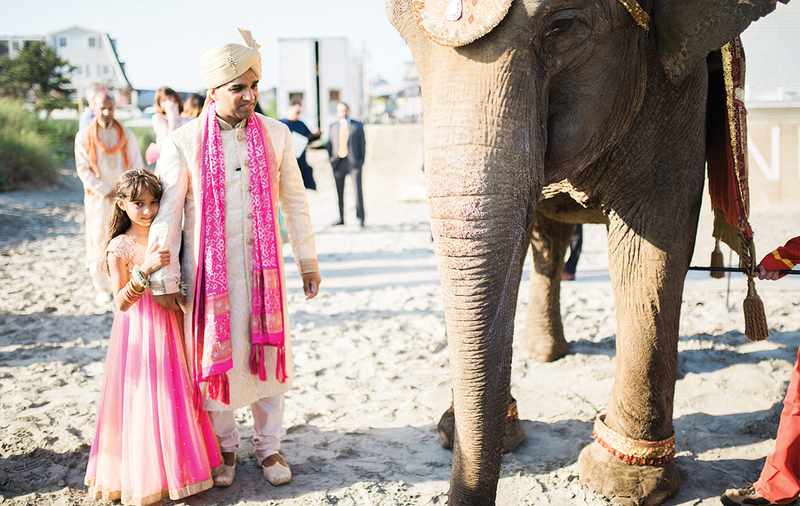 Vivek and his daughter, Ella, rode the elephant during the procession to the Hindu ceremony. Guests later took “elphie selfies” on the beach during cocktail hour. 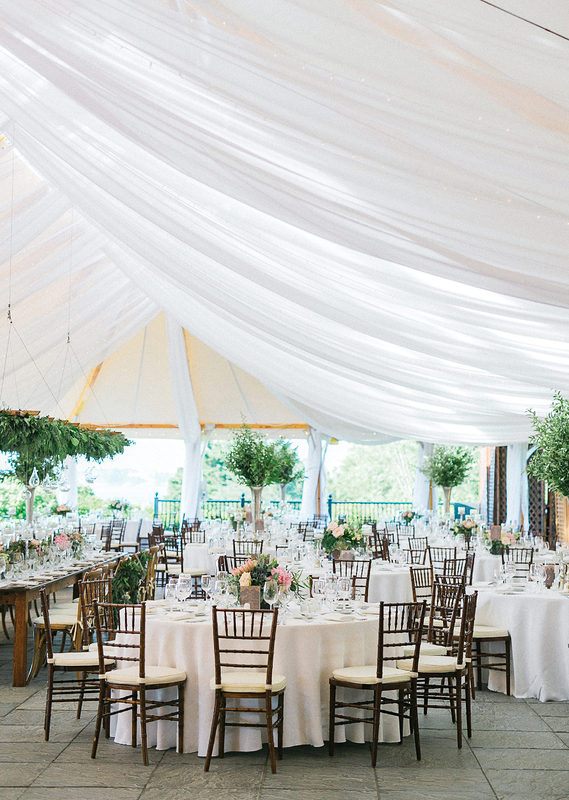 The bride and groom and their immediate family members dined at a farm table with an 8-foot-long suspended lattice overhead. 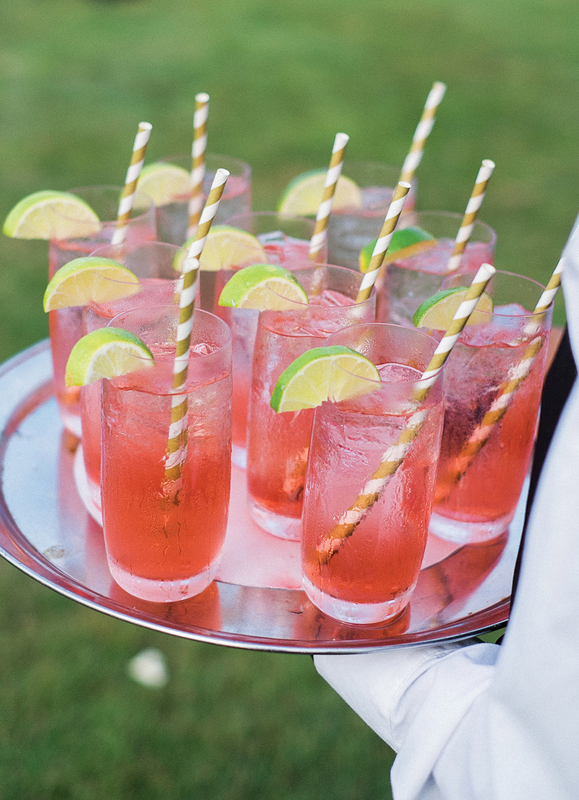 The signature cocktail, dubbed “South Shore Jetty,” was a secret O’Neal family recipe created by Katie’s father.